Learn all about calibrachoa care and other garden ideas in this article! Grow Zone Recommendation: Calibrachoa is an annual flower that grows well in USDA zones 9 to 11. Sunlight Needs: Calibrachoa care requires full sun, so choose a sunny garden location or window box. However, plants that receive a little shade will bloom longer into the summer. Watering Needs: Soil should be kept lightly moist, not soggy. 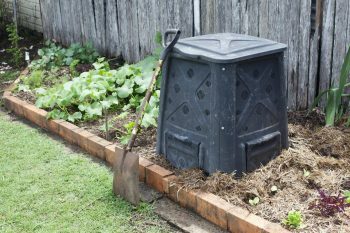 Container-grown plants will require more frequent watering. However, once well established, calibrachoa will tolerate some drought. Just keep an eye on it and watch for yellowing or wilting. Average Size: Calibrachoa is a short-growing plant, averaging less than 6 inches tall but 12 to 14 inches wide. Foliage Color: Foliage of Calibrachoa is a vibrant blue-green, with gold or chartreuse blooms. It may come in other colors, depending on the variety. Must Know Plant Care Tips: Low-growing but very capable of a wide spread, calibrachoa is well suited for spaces where it can spill onto walkways and over the sides of pots. 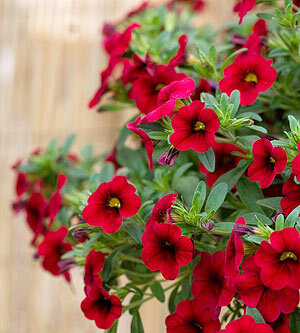 If you want a space to fill quickly, such as a garden spot or hanging basket, calibrachoa is ideal. It does well mixed with other plants. Plant Problem Solver: Because it grows so quickly, calibrachoa will require feeding. It’s sensitive to too little nitrogen, and will turn yellow when it requires fertilizer. Because of its quick growth, calibrachoa will quickly cover up any spent blooms and still look great, so manually removing dead blossoms isn’t necessary. Pretty Pairings: Great companion plants for calibrachoa include coral bells, angelonia, and loosestrife. You might also plant several varieties of different-colored calibrachoa together in the same garden area or container.